LIKE US? Join us and get the latest cheats around the world! This cheat allows you to unlock all Hunting Houses bosses even at lvl 1, unlock all emblem missions and fight bosses repeatedly in Battle>Practice to level up fast. Use of 1 hit KO is advisable. 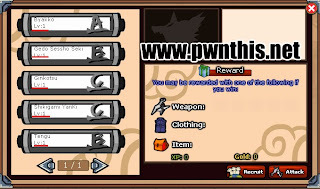 Browse to the files that you have downloaded above and select '(Random-With-Boss)-code_library.swf' Click Save. Browse to the files that you have downloaded above and select '(Enabled)-hunting_house.swf' Click Save. Open Cheat Engine and select browser in the process list. Click Attack now. (normal weapon attack). The game and browser will now FREEZE. Click Debug > Run again. The game will continue and you will see that the enemy has 0 health left. You must repeat steps 5-11 for every enemy. Note: If the enemy dodge your attack, do NOT change EAX value or it will not work and you will get an error.